SEO-Search Engine Optimization has become a common word today in the Industry.SEO Refers to the process of optimizing your website content to make it easily findable by search engines like Google,Bing etc.It also involves extensive Link Building. 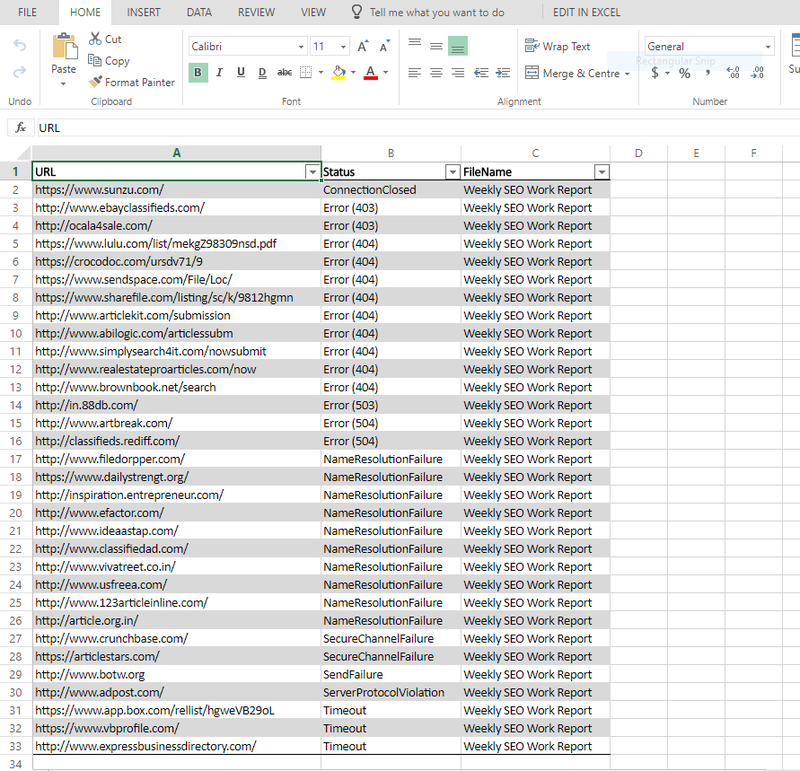 If you hire an SEO Firm or an SEO Freelancer to optimize your website, they will provide weekly or monthly Reports of their work mostly in Excel Spread Sheet Files.These Reports will contain large number of Links they have built pointing to your Website or Domain.Some of the Links may go down due to Spam Complaints,Removed Websites etc.Its quite hard to manually validate URLs in each of these Excel Files and find out the cause of the Broken URL ,which may include 404,401,403,505 errors.After finding out broken URLs you might want to make a report and mail it your SEO Agency for rectification. 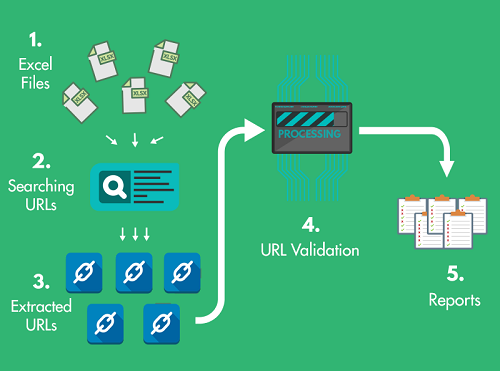 Excel URL Validator can streamline this task for you.You just need to select the Excel Files containing URLs or HyperLinks;URLs will be extracted,validated and separate clean reports containing the invalid links and the cause of the error will be saved. The output is saved in Clear and Easy to Read Reports in .xlsx or .txt Format.See the sample report below.